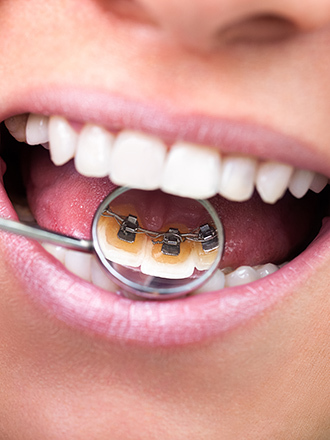 Lingual braces, placed on the tongue side of the teeth, are the completely invisible orthodontic option for patients who want to improve their smile without sacrificing comfort and aesthetics. With lingual braces, your orthodontist is able to give you the beautiful smile you've always wanted, and no one will be able to tell you're undergoing orthodontic treatment! Orthodontic care with this system results in faster treatment times, shorter appointments, and amazing results! It's never too late to get the smile and confidence you deserve. Ask if lingual brackets are right for you!